Genuine OEM Konica-Minolta Toner Cartridge, Cyan, High Capacity 8,000 page yield. Konica-Minolta part number: A0DK433, TN318C. Color Laser Toner Cartridge compatible with Konica-Minolta bizhub C20. Genuine OEM Konica-Minolta Toner Cartridge, Magenta, High Capacity 8,000 page yield. Konica-Minolta part number: A0DK333, TN318M. Color Laser Toner Cartridge compatible with Konica-Minolta bizhub C20. Genuine OEM Konica-Minolta Toner Cartridge, Yellow, High Capacity 8,000 page yield. Konica-Minolta part number: A0DK233, TN318Y. Color Laser Toner Cartridge compatible with Konica-Minolta bizhub C20. Genuine OEM Konica-Minolta Toner Cartridge, Black, High Capacity 8,000 page yield. Konica-Minolta part number: A0DK133, TN318K. 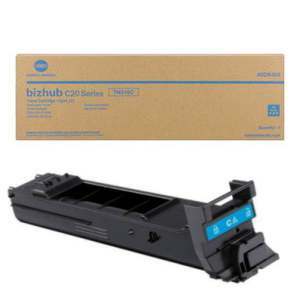 Laser Toner Cartridge compatible with Konica-Minolta bizhub C20. Genuine OEM Konica-Minolta Imaging Unit, Cyan, 30,000 page yield. Konica-Minolta part number: A0310GG, IU312C. Imaging Unit compatible with Konica-Minolta bizhub C20. Genuine OEM Konica-Minolta Imaging Unit, Magenta, 30,000 page yield. Konica-Minolta part number: A0310AG, IU312M. Imaging Unit compatible with Konica-Minolta bizhub C20. Genuine OEM Konica-Minolta Imaging Unit, Yellow, 30,000 page yield. Konica-Minolta part number: A03105G, IU312Y. Imaging Unit compatible with Konica-Minolta bizhub C20. Genuine OEM Konica-Minolta Imaging Unit, Black, 30,000 page yield. Konica-Minolta part number: A03100G, IU312K. Imaging Unit compatible with Konica-Minolta bizhub C20.